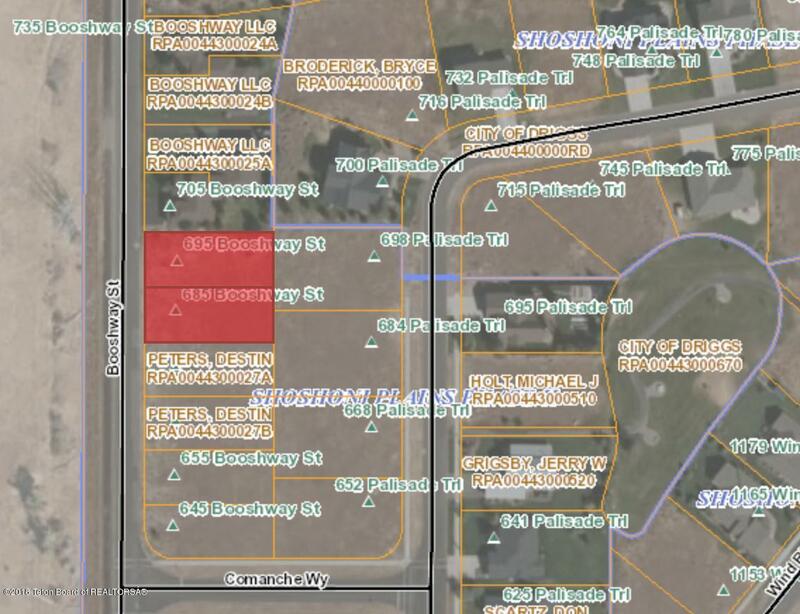 Opportunity to purchase two twinhome/duplex lots in the up-and-coming Phase II of Shoshoni Plains. The lots to the North have already been developed and the convenient location, just steps from Teton High School, is difficult to beat. Within Driggs City limits with public utilities, and paved roads, this is a great opportunity for an owner or developer to control their costs and construction timing.